Oyo 4 nights and 5 days Jodhpur, Jaisalmer & Bikaner tour package. In Jodhpur visit Mehrangarh Fort, Jaswant Thada and Jodhpur market. In Jaisalmer visit Fatehsagar Lake, Sahelion ki Bari, Bharatiya Lok Kala Mandir. In the evening take a boat ride on the 4 km long and 3 km wide Lake Pichola, which is fringed with hills, palaces, havelis, ghats, embankments and temples and offers spectacular views of the city. Visit the Jag Mandir Island with its exquisite Gul Mahal Pavilion. In Bikaner visit junagarh fort, havelis, temples and bazaars. An oasis in the arid Thar Desert, Jodhpur is the second largest city in the state of Rajasthan. Representing this colourful city with shades of blue, Jodhpur has a history that is rich and a present that beckons strongly to the discerning tourist. Forts and palaces, temples and havelis, culture and tradition, spices and fabrics, colour and texture, Jodhpur has them all and in plenty. Situated in Western Rajasthan, Jodhpur has long attracted both the domestic and outside tourist. It not only offers tangibles, in terms of what you can see and buy but also fills one with a sense of history and the splendours of an era gone by. The hospitality of the locals, the demure women, and the colourful turbans -all set against the beloved desert (Marwar) is something to feel, not just see. Every pore of Jodhpur tells its own tales of heroic deeds that made legends out of kings and soldiers, romances that continue to warm the heart and a time when epics were lived out on the streets by everyday man. Later proceed for city tour of Jodhpur visit the Meherangarh Fort, situated on a low sandstone hill. The palace apartments like Sukh Mahal, Phool Mahal, and Sheesh Mahal etc are beautifully decorated and house Jewellery, costumes, armoury, palanquins, howdahs and other remnants of the past. See the Jaswant Thada, an imposing marble memorial to Maharaja Jaswant Singh II built in 1899. Later the royal crematorium and three other cenotaphs were also built here. After breakfast drive to Jaisalmer; Arrive Jaisalmer and transfer to your hotel. Jaisalmer – a fairy-tale town in the Thar Desert founded about 800 years ago by Jaisal. Unlike any other city, this desert fortress is one of Rajasthan’s most exotic and unusual towns. Jaisalmer, an important ancient trading centre because of its strategic location on the camel trade routes, is often described as the ‘golden city’. The havelis, built by merchants of the 19th century, are exquisitely carved from golden-yellow sandstone and are still in a beautiful condition. The fort built by Rawal Jaisal in the 12th century, stands on the 80-meter-high Trikuta hill, with beautifully carved Jain temples. The annual desert festival takes place in January and February each year and is a riot of colour and activity. Jaisalmer is also famous for its embroidery, Rajasthani mirror work, rugs, and blankets, antique, silver jewellry, and stonework and camel safaris. After breakfast leave for the city tour of Jaisalmer. Visit the Gadsisar Lake a water conservation tank made around 1400 A.D. by the then maharaja of Jaisalmer, Maharwal Gadsi Singh. This structure just outside the city walls once acted as a reservoir that controlled the entire supply of water to the arid city. Thera are whole varieties of temples and shrines surrounding the lake. Visit the famous Havelis (mansions) known for their frescoes. Jaisalmer’s strategic position on the camel terrain route bought it great wealth. The merchants grew prosperous and commissioned great havelis, or mansions, to flaunt their ever-growing status in society. Made of local golden-yellow sand stone and wood, some of the havelis are still in excellent condition. The most elaborate and magnificent of all the Jaisalmer havelis is the Patwaon Ki Haveli. Five Jain brothers built the Haveli between 1800 and 1860. Salim Singh Ki Haveli and Nathmal Ki Haveli are the other two havelis that are opened to visitors. Built in 1156 by the Bhatti ruler, Jaisal, THE FORT here stands atop the 80 m high Trikuta hill. 3 walls and features 99 bastions surround the fort. Over the centuries, the golden sand stone fortress witnessed many battles between the Bhatti Rajput’s, the Mughals and the Rathore’s of Jodhpur. Within the fort complex lie the beautifully carved Jain Temples built between the 12th and 15th centuries. The Maharawals (rulers) of Jaisalmer were devout Hindus but were tolerant of Jainism, and encouraged art and religion. There are 7 temples in the complex – Chandraprabhu, Parasnath, Shitalnath, Sambhavnath, Shantinath, Kunthunath and Rikhabdev Temple. The temples are all connected by a series of corridors and walkways. Close by is the Gyan Bhandar, a library founded in 1500 A.D. This house is priceless ancient manuscripts and other exhibits like astrological charts, besides the Jain equivalent of the Christian Shroud of Turin. After the breakfast, you will drive to Bikaner; Arrive Bikaner & transfer to your hotel. This desert town in northern Rajasthan was founded in 1488 by Rao Bikaji. Like many others in Rajasthan, the old city is surrounded by a high crenellated wall. The old city with its exquisite merchant havelis, temples and bazaars retains a medieval air. 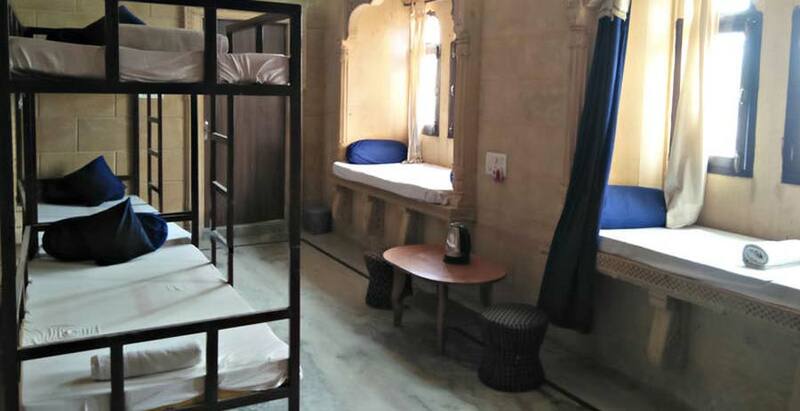 Later proceed for half Day city tour of Bikaner visiting Junagarh Fort, one of the most interesting forts in Rajasthan, with its sumptuously decorated interiors. Built in 1588 by Raja Rai Singh it is unusual in the sense that it was one of the few major forts of Rajasthan that was not built on a hilltop. Instead, it was built on the desert plains; its rugged sandstone bastions and graceful pavilions and balconies are silhouetted against the sky. 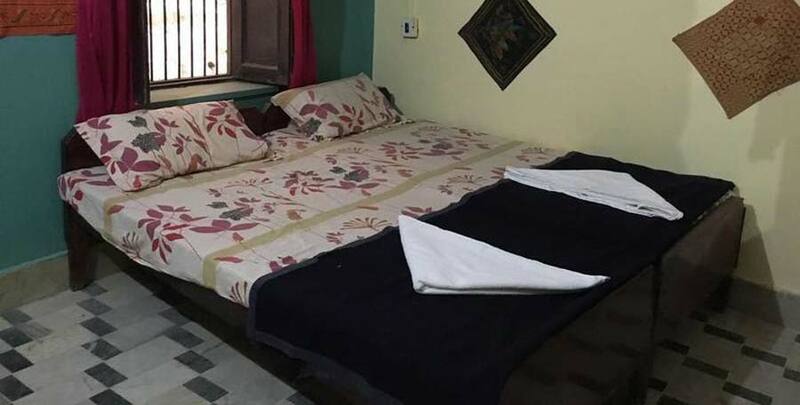 If you are not able to make up your mind from the tour itinerary or hotels listed above in "OYO Desert Cities of Rajasthan", then we can also make the changes and provide a customized, tailor-made vacations, especially for you. We can modify this tour package as per your date and budget.